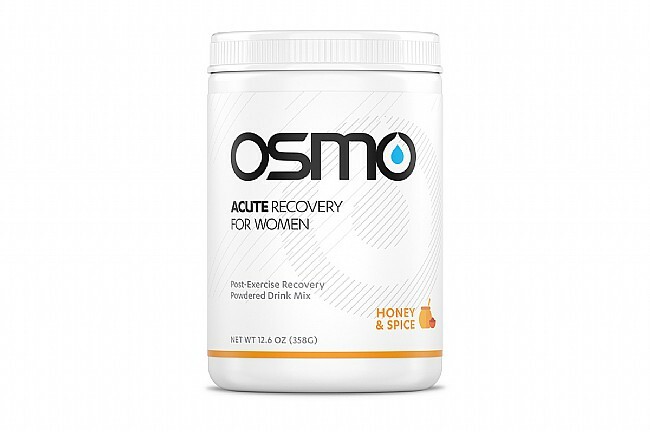 Osmo Women's Acute Recovery addresses the negative effects on muscle adaptation caused by elevated progesterone and estrogen levels in women in order to maximize recovery for enhanced performance gains. By using a blend of fast absorbing whey protein and slower micellar casein, availability of amino acids is continuous over the course of several hours while the body rebuilds. The addition of caffeine in a specific amount in relation to protein and carbohydrate ratios speeds up glycogen recovery to quicken muscle adaptation, and the no-antioxidant formula ensures the body's natural recovery systems remain uninhibited. 80 calories per serving. 16 servings.